To many observers Chris Colabello was wasting his time. Following the 2011 season, he was almost 28-years-old and had spent the past 7 years – his entire professional career – in the netherworld of independent baseball. They said it was high time for him to give it up, grow up and get a real job, but thankfully Colabello wasn’t listening. In February 2012, the Twins organization called and invited the indy league veteran to their minor league spring training, where he played well and was assigned to Double A New Britain. Colabello had no problem adjusting to organized baseball, hitting .284 with 19 homers and 98 RBI in 134 games with the Rock Cats. And he was just warming up. 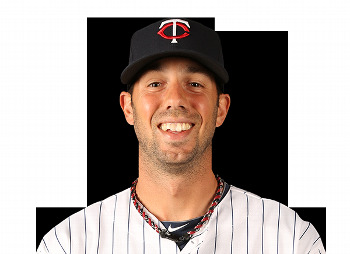 Promoted to Triple A Rochester for the 2013 season, Colabello was just one step from The Show. He seized the moment, dominating the International League, batting .352, belting 24 homers and driving 76 runs in only 89 games en route winning Rookie of the Year and MVP honors. The slugging first baseman probably would have captured league’s Triple Crown if call-ups to the major leagues hadn’t got in his way. Now, nearing 30, Colabello has achieved the dream so many believed was out of reach. I caught up with rookie to discuss his remarkable journey during the last homestand. DZ: You are coming up on roughly 150 plate appearances in the big leagues, what are you impressions so far? COLABELLO: It’s all been a learning process I think, an adjustment process. I think, at the end of the day, that’s baseball. Guys are in the big leagues for a reason: whether they have really, really good stuff or their command is really good or a combination of both. I think every day is a little bit better. I am certainly starting to feel like I am more comfortable in the box every day, every time I go up there. I think that’s the key, just learning from every experience. Ideally, what you start to shoot for is that your adjustments – rather than coming from week-to-week or day-to-day, start coming from at-bat to at-bat, pitch-to-pitch. I think we are progressing in that direction. DZ: (On September 2), you hit a grand slam with the game tied in the 9th inning. After all you had been through and how long it took you to get here, how much did that mean to you? COLABELLO: It was just neat to be able to help the team. That whole day, more than anything, I was excited about my swings, the way I felt in the box…I was really getting back to being myself. I think that’s a big part of results happening for players, especially hitters - when you are taking care of your process and feeling good about what you are doing in the box. I think that was the most exciting thing for me. I don’t know that I ever could have predicted hitting a grand slam in the 9th, but obviously, I wanted to get up there and put a good swing on the ball. I was happy to get an opportunity to do some damage there after I had struck out my last at bat with a runner on second with a chance to tie the game. Thankfully, Pedro (Florimon) came through and picked up that RBI for us and tied the game. I was really excited to get another opportunity and thankfully, things worked out pretty good. DZ: What’s been your favorite thing about the big leagues so far other than the paycheck? COLABELLO: Everything. I think from when you are a little boy dream about being here. I think just learning every day. I consider myself a student of the game, so I think that being around guys who are on this level, getting to pick their brains and learn from them. Getting to see a guy like Joe Mauer go to work every day, obviously Morny for the time he was here. Being able to kind of take a little piece of something they had to offer for me has been the most memorable thing. If you look back to two or three years ago when I was in independent ball, a lot people would’ve told me I couldn’t do this. I think even just a little bit of that satisfaction – I was able to prove some people wrong. Ideally, I could continue to do that. DZ: You mentioned independent ball – 7 years. You don’t see too many guys make it to the big leagues after that. What kept you going that whole time? COLABELLO: I think it’s just my love for the game. At the end of the day I always came back to the fact that a day on the baseball field is better than a day anywhere else, in my opinion. I promised myself three things when I started playing and I was fortunate enough to have people around me that made it very clear that as long as I had a uniform on, I have a chance. The three things that I keyed in on were; number one that is was feasible for me economically (and) physically. My body felt good and financially I could support whatever I was doing. Thankfully, I have a family who is very patient and understanding and a girlfriend who is the same. Second thing is that I felt like I was getting better every year and still had that hunger and desire to get better, whether it was something mental or physical. The third thing was that I was still enjoying myself. Those three things held up throughout the process. So, it’s kind of an easy answer for me when people ask me that question…It was just what I wanted to do. DZ: Did you ever have to take any quote, unquote “real jobs” in the offseason? COLABELLO: Yeah, you have to do stuff to help yourself get through the offseason, get through your day-to-day life. Again, I was lucky, I played close to home (and) part of that was that I was kind of able to become a little recognizable in the area. I started doing a lot of baseball stuff like teaching lessons, working at indoor facilities. Over the course of time, I built more and more of a client base and people starting seeking me out. It was a little bit easier to handle than I guess working a real 9-to-5, but my first couple of years I would substitute teach and do things like that. I remember one year there was one facility that I worked at – Velocity Sports in Sudbury, MA – I would do birthday parties on the weekend and stuff to make a few bucks and hang out with your friends and pay whatever bills you had. DZ: At any point, did you think about giving it up? COLABELLO: No, no shot. I think in a lot of ways you start to wonder if anything is going to happen, but I think when I finally decided that – it was almost one of those revelation moments where you say, “I don’t need somebody else’s approval to tell me I can do something.” I think that was the whole 2011 season for me. I made a commitment into that offseason that I was going into the year I said, “I can play this game, I am going to go out onto the field and leave it all out there.” It almost allowed me to free myself up and obviously, to that point, I had had the best year of my career. Even that next offseason, I just believed it was going to happen. I believed a team would pick me up. Whether or not it was a feasible belief or not – when you set your mind to something, sometimes it is amazing how things work out. DZ: It happened so – when the Twins finally did come to you, what was your reaction? COLABELLO: Obviously I was excited. I had gone through a minor league spring training before, with the Tigers in ’06, but unfortunately I didn’t make it out of there. I think there were a lot of nerves going into camp, I kind of knew the way things would work a little bit better…but, I think there was this constant urge to try and impress people. I say this about every new place you go, whether it’s Double A, Triple A or the big leagues, winter ball. Anytime you go to a new place where people don’t know you, they just know about your track record, you try to do a little bit more than you have to make people realize that you can play. I knew I could control the way I worked, the way I went about my business, the kind of person I was every day. I think, thankfully, the organization saw enough in me to let me hang around a little bit. I am so thankful to them for it. DZ: Obviously, this year at Triple A, you had an awesome year – MVP, Rookie of the Year – what is it like to get those kind of awards at that level? COLABELLO: Anytime you get mentioned for MVP and Rookie of the Year-type stuff, it’s a nice honor, but more than anything, I was really glad to be able to help that team in whatever way I could…My biggest goal went I went out on the field every day was to be able to contribute. I don’t think things like MVPs or Rookies of the Year happen without great teammates around you; a great environment to play; a great coaching staff; people that put you in the best possible situation to be successful every day. More than anything else, I was just so happy to be able to be in an environment where it was great to go the ballpark and play every day. That’s a credit to Gene Glynn, the manager in Rochester, Tim Doherty, the hitting coach, Marty Mason, the pitching coach and the whole front office down there in Rochester that made it such a great place to play and all my teammates too. It’s fun to see them in the playoffs at this point. DZ: You had so much success (in Rochester) this year…obviously, you want to get to the big leagues, it’s your life goal in baseball – but, was there any part of you that was sad to leave that behind? COLABELLO: I think anytime you start to build a foundation and relationships with people, there is a little piece of your heart that will miss what it was. I think I can say the same thing about my time in independent ball and my time in Double A last year. Whenever you commit as much time and energy to doing something, for me in particular, I think there is always a piece of me that will stay there. I’ll tell you what…I am following those guys and I am rooting for them from the bottom of my computer screen or whatever is. I was scoreboard hunting at the end of the year to see if they were going to get into the playoffs. I definitely would say I miss those guys and wish them the best. I am thankful to the organization for the opportunity to be here. DZ: One last thing, the big story around here the last week or so has been Morneau being traded. Seeing him go opened up a little opportunity for you to get some time at first (base). How exciting is that for you? COLABELLO: First and foremost, let me tell you that I think Justin Morneau is the man. I certainly don’t pretend to be him in any way, shape or form. I am going to do the best I can when I go out there with every opportunity I am given. Morny has become a friend, a role model, an inspiration, a guy that was everything I could ever imagine somebody being when I got up to the big leagues. That being said, every time you are given the chance to play, it’s an opportunity to establish who you are a little bit. I am thankful to the organization for just giving me an opportunity to be here in the first place and to have the faith in me to put my name in the line-up card is awesome. All I can do is go out there and be myself to the best of my ability and work hard to keep trying to help the team win games. I think that’s my biggest goal every day. This entry was posted on Monday, September 16th, 2013 at 8:42 am	and is filed under MLB, Twins. You can follow any responses to this entry through the RSS 2.0 feed. You can leave a response, or trackback from your own site.